Omori Diamonds specializes in providing the brightest diamond engagement rings in Winnipeg as well as exceptional sapphires, rubies and all forms of custom jewellery. In todays blog we will be showing you some of our latest diamond engagement ring designs which are available in our catalogue. This spectacular diamond engagement ring shown above features a winding, criss cross infinity band. 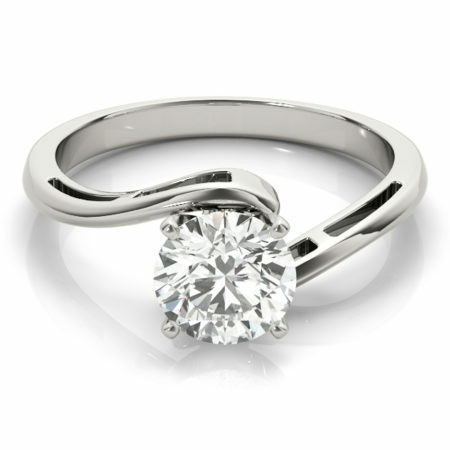 This style of engagement ring is something we have been seeing a lot lately as it provides a modern twist on the classic side stone diamond ring design. These designs can be created in white, yellow and rose gold as well as by combining both rose and white gold into the same design. This antique styled diamond engagement ring shown above is one of the top engagement ring trends for 2018. It seems that many couples are loving the elegant setting as well as the marquise shaped setting for the stones on the side (which are round). 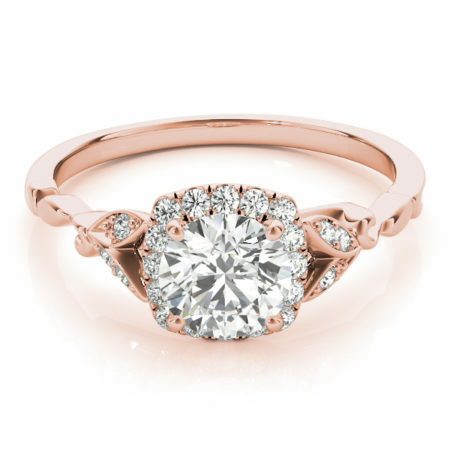 As mentioned in previous articles, vintage engagement rings are not only one of the most popular styles of diamond engagement rings in Winnipeg at the moment, but are sure to remain very popular due to their timeless appeal. 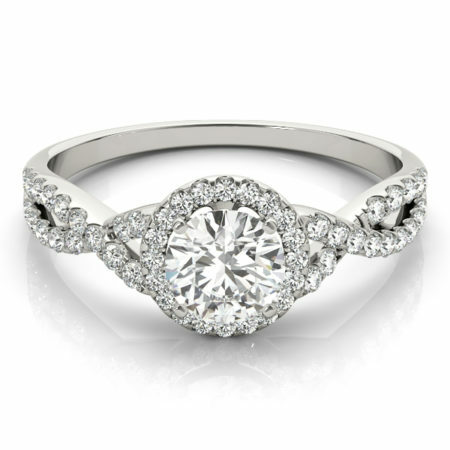 This unique ring features a brilliant round diamond as well as a beautiful halo. What really makes this design shine is the unique leaf-like pattern on the band. A favourite among nature lovers, leaf and vine like diamond engagement rings are another favourite of our design team who have had the pleasure of creating a number of similar styles over the past few years. Be sure to check out our article showing this custom leaf engagement ring and wedding ring. This classic solitaire diamond engagement ring features a unique and eye catching spiral setting. Very similar to the custom spiral solitaire engagement ring that we created a while back, this ring also looks beautiful with an interlocking wedding band which has been created to match. As the premier designer and creator of fine diamond engagement rings in Winnipeg, we are skilled in crafting not only your perfect engagement ring but also in making a beautiful custom wedding ring to fit along side. 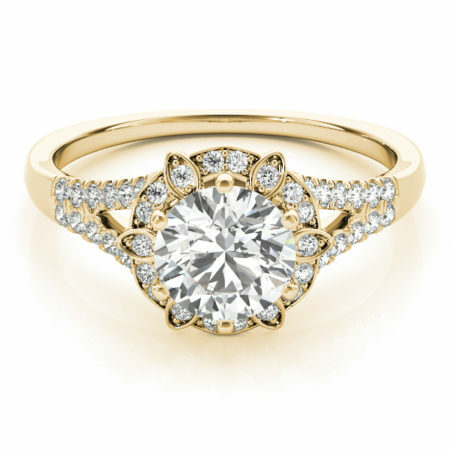 To see more beautiful solitaire designs check out this article by Glamour on the most popular new engagement ring trends. 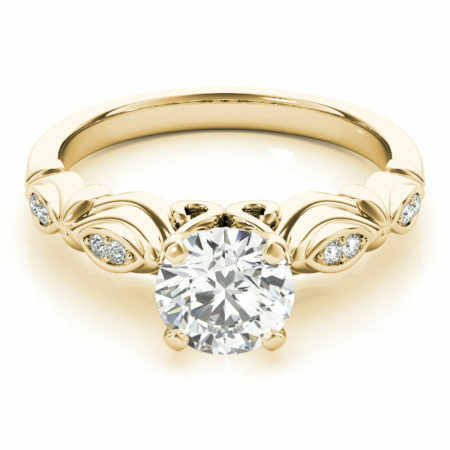 This unique engagement ring features a wonderful halo which has settings of different shapes. This style is often seen in many art deco engagement rings as they are known for their use of different geometric shapes and patterns. The floral style halo is also somewhat reminiscent of Kate Middleton’s ring, which is often to be considered among the 10 most famous engagement rings of all time. Are you ready to create your perfect diamond engagement ring in Winnipeg? If you are still looking for style inspiration for your design, please browse our engagement rings catalogue as well as our custom engagement rings portfolio. For those who are looking for an engagement ring without diamonds we also specialize in a wide variety of precious gemstones from sapphires and rubies to moissanite and emeralds. Simply let us know what you are looking for and we will create your masterpiece!